Let’s set it straight, ya’ll. Just because it’s the holidays, doesn’t mean your sweet potato must be smothered in marshmallows and candied pecans. This year, our new sweet potato lovin’ partner, Fit Foodie Finds, explores the savory side of sweet potatoes with sharp cheddar cheese, chives and onion. And no, we’re not talking about a stuffed baked potato. 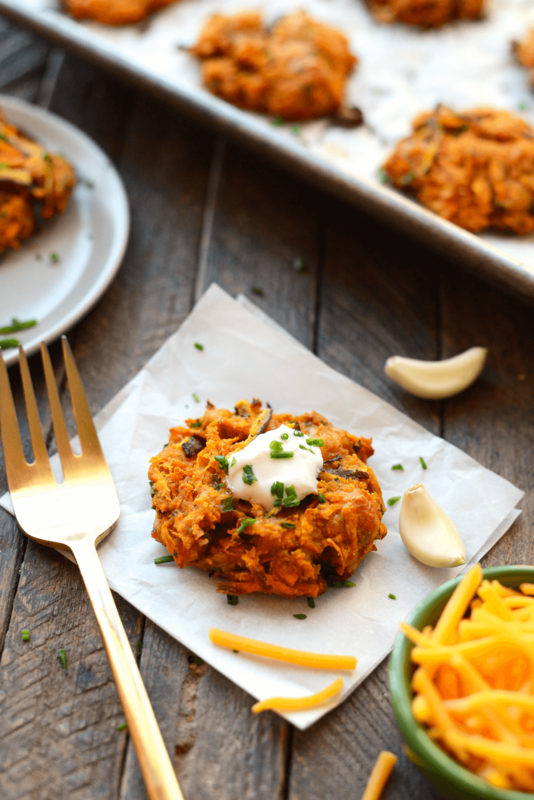 Fit Foodie Finds united the best of the best savory flavors, then grated them all together into flavor-packed baked sweet potato fritters. The best part? They’ll be the easiest part of your holiday dinner prep. If you’ve never heard of grating your sweet potato, simply grab your cheese grater and get grating. We promise this new kitchen tool will be your best friend when it comes to sweet potatoes. Want a bite of this sweet tater deliciousness? Visit Fit Foodie Finds for the full recipe!